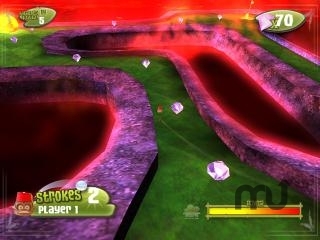 3D mini golf in three exotic locations, multiplayer support. Is there a better alternative to Tiki Magic Mini Golf? Is Tiki Magic Mini Golf really the best app in Arcade category? Will Tiki Magic Mini Golf work good on macOS 10.13.4? Tiki Magic Mini Golf is mini golf like you've never seen it! It's a fantastic 3D adventure! State of the art graphics, compelling game play, 3D sound effects and an original score combine to create a fun and fully immersive Tiki experience! The game features support for up to 6 players... Perfect for a Tiki party! The Tiki gods are angry and the only way to quench their insatiable thirst for mischief is a good round of Tiki Magic Mini Golf! Play through 54 stunning mini-golf holes, set in three exotic locations. Tiki Magic Mini Golf needs a rating. Be the first to rate this app and get the discussion started!